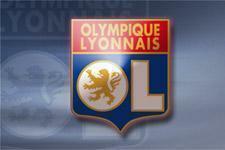 Olympique Lyonnais would like to clarify and correct various information that appeared in Thursday's press with regard to the new stadium project. President Jean-Michel AULAS has never stated that the site for the new stadium has already been chosen. He merely confirmed that Olympique Lyonnais know where they would like the new stadium to be constructed and that in agreement with the Sénateur-Maire of Lyon the President of the COURLY, Gérard COLLOMB, the final decision would be announced soon by the Mayor of Lyon.